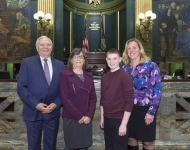 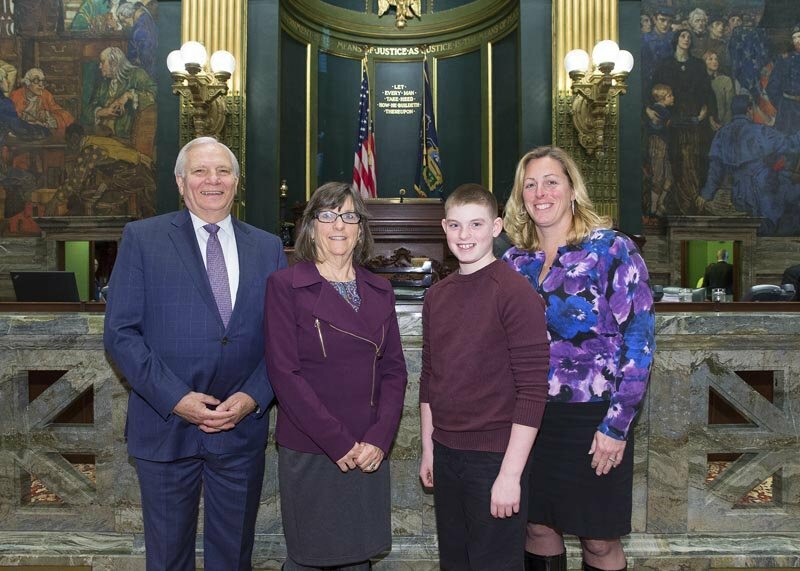 October 25, 2016 - Senator Mensch met with constituents from Tabor Children's Services Inc. (located in Doylestown, PA) during their visit to Harrisburg. 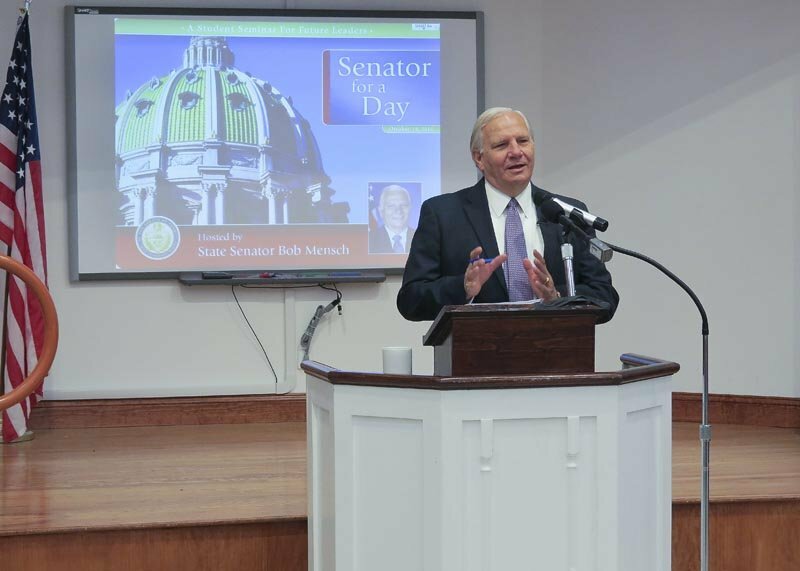 October 24, 2016 - Senator Mensch was honored to host the Senate Guest Chaplain, Pastor Peter Smith, on October 24th. 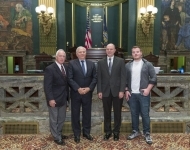 Pastor Smith was joined by his son Nick and Elder Stephen Curley. 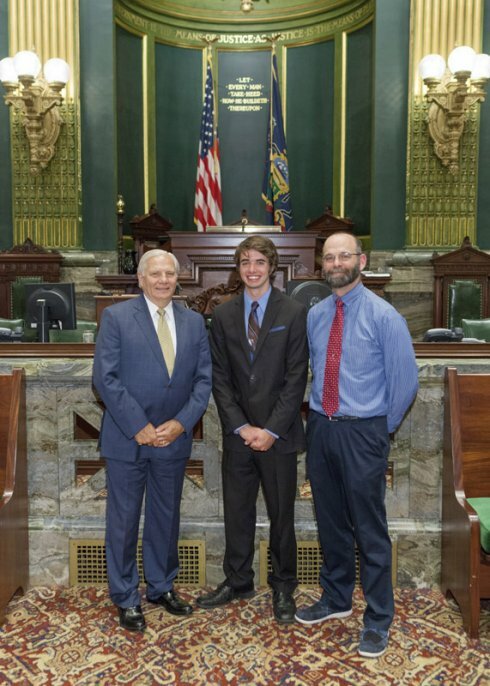 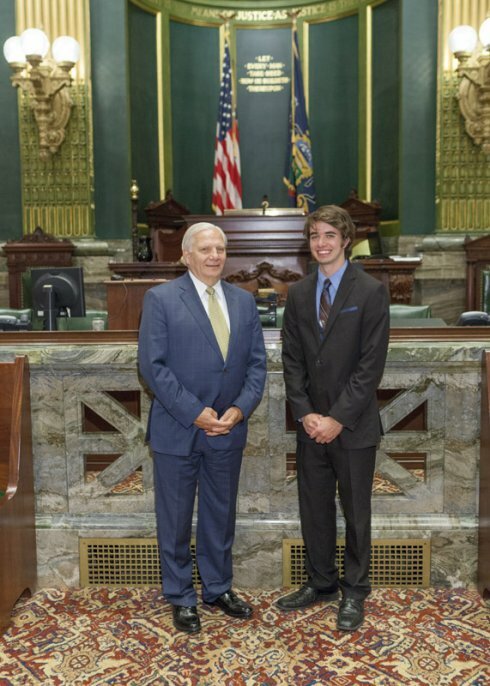 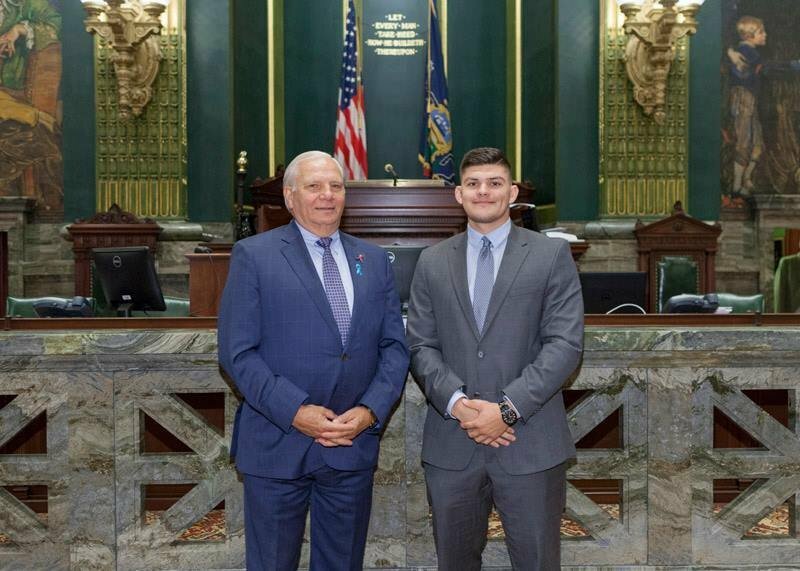 October 18, 2016 - Robert Rein, district intern for State Senator Bob Mensch, visited Harrisburg on October 18. 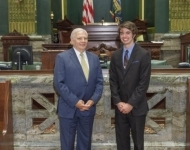 Robert is a senior at Ursinus College and is majoring in Political Science with a double minor in Economics and International Relations. 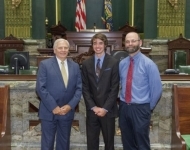 He is also President of the Ursinus College Student Government and is a member of the Ursinus Wrestling team. 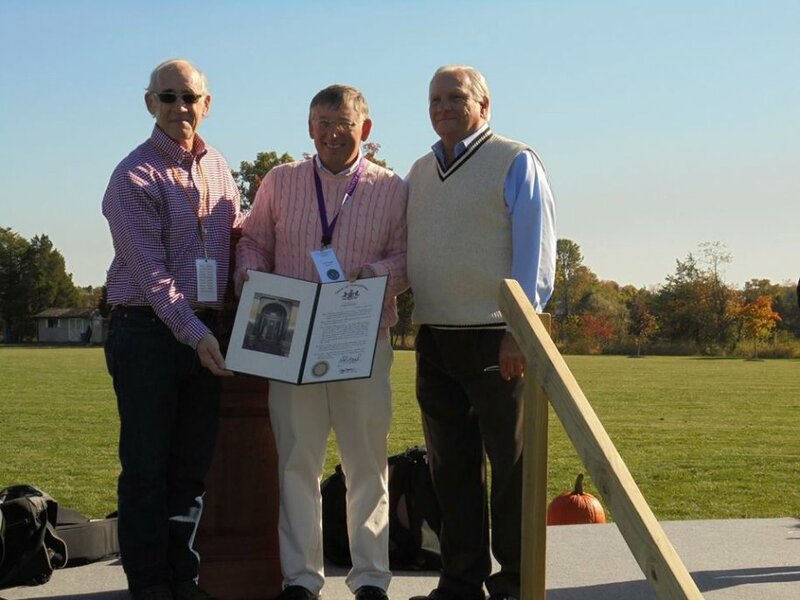 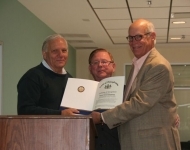 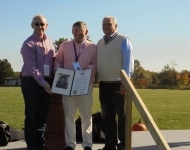 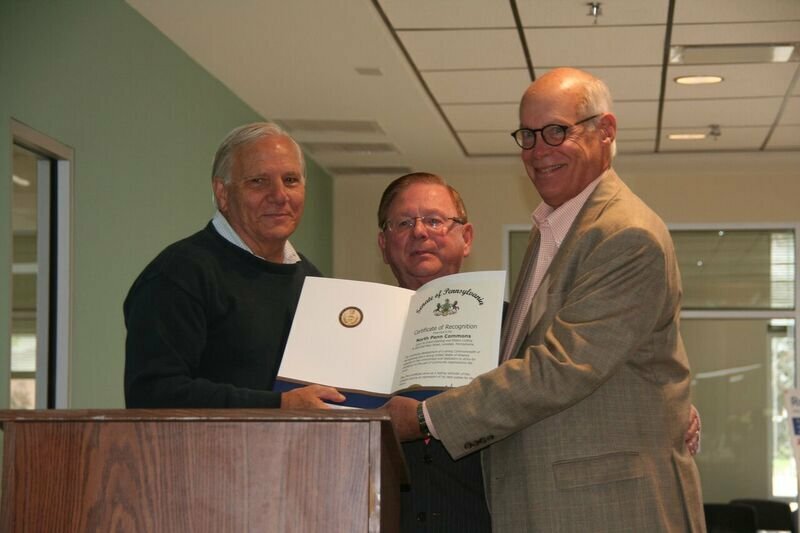 October 15, 2016 - Senator Mensch presented Upper Salford Township with a citation honoring their 275th anniversary. 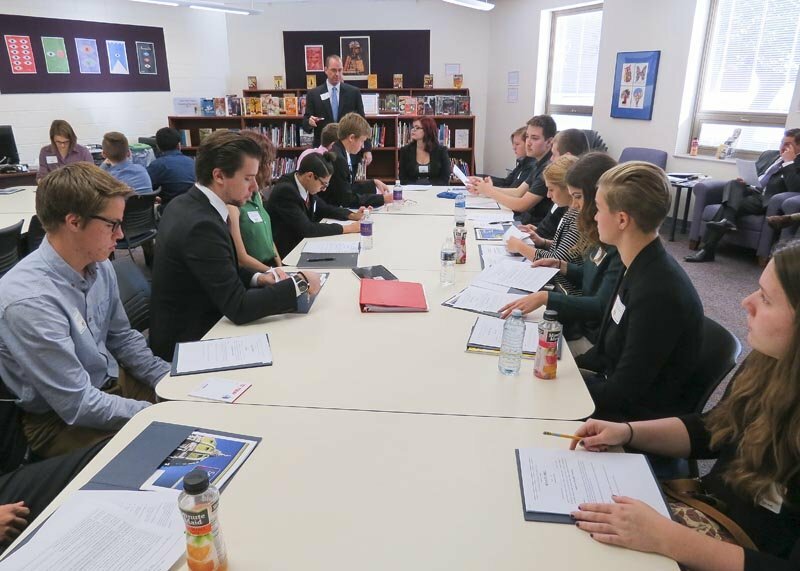 October 14, 2016 - Senator Mensch hosted his annual Senator for a Day event at the Perkiomen School on October 14, 2016. 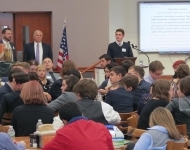 The event drew almost 100 students from 7 different school districts. 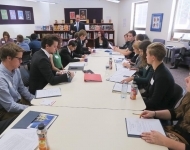 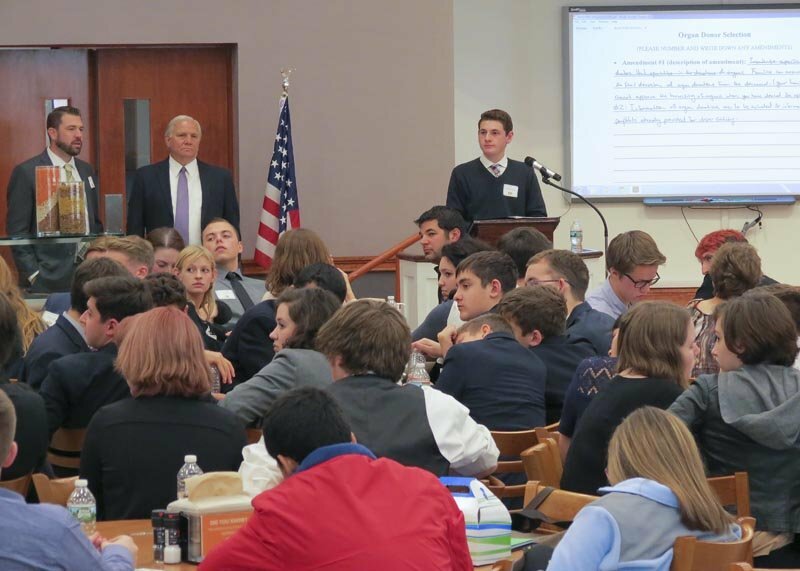 The high school students had the opportunity to act as a mock legislator, debate legislation within committees, and vote on the bills during their general “session”. 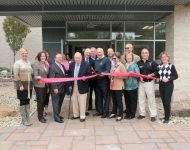 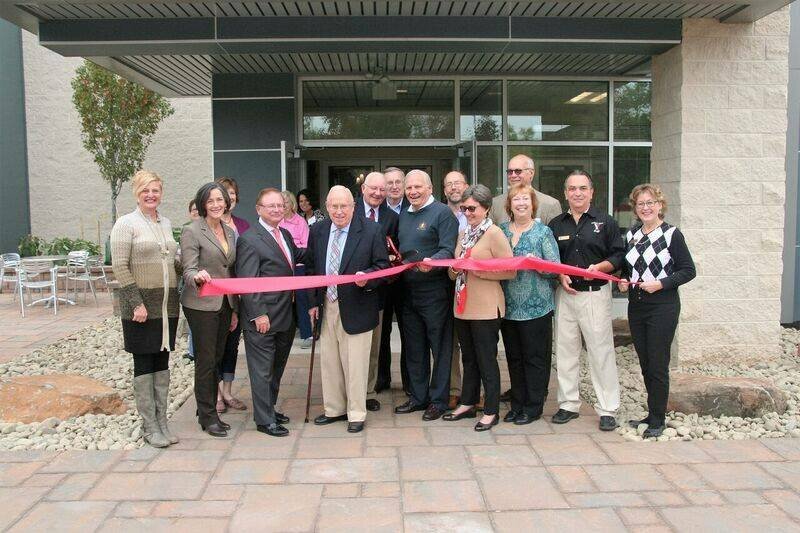 October 8, 2016 - Senator Mensch attended the grand opening and ribbon cutting ceremony for North Penn Commons. 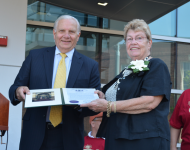 October 8, 2016 - Senator Mensch was pleased to attend the grand opening at North Penn Commons. 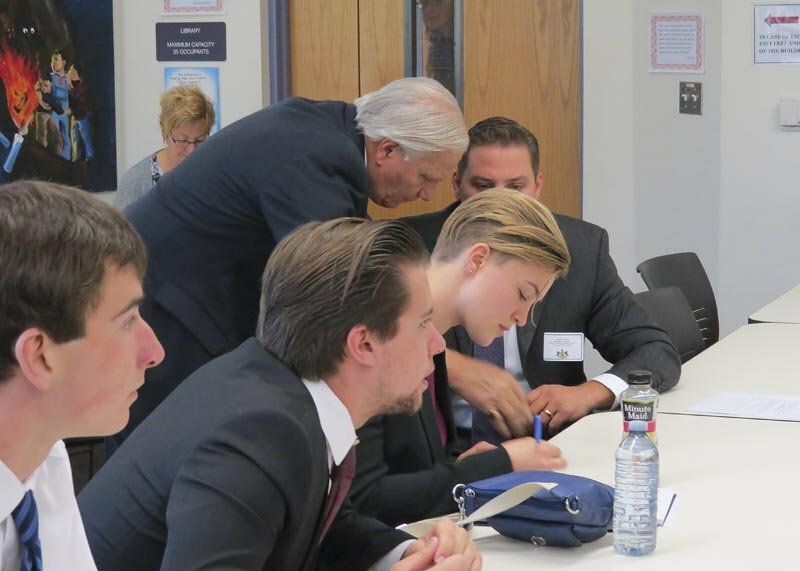 October 7, 2016 - Senator Mensch toured Artisan Display, Inc. in Red Hill, PA on Manufacturing Day. 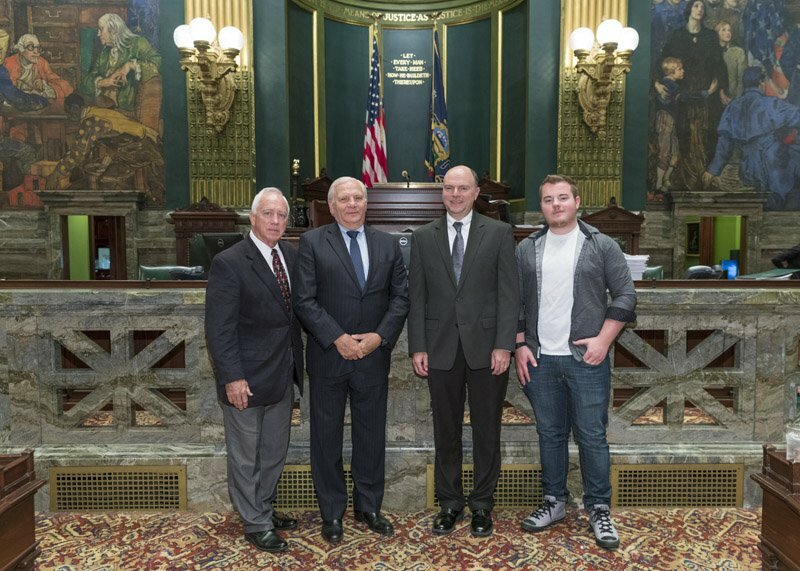 October 7, 2016 – Senator Mensch spoke with students during his visit at Bracalente Manufacturing Group in Trumbauersville, PA. 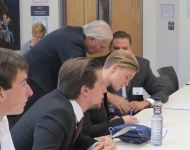 The visit and tour also took place on Manufacturing Day. 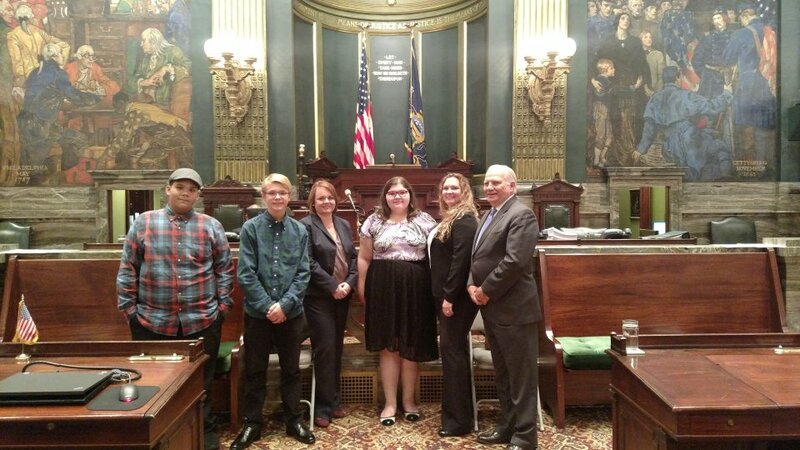 October 7, 2016 - Senator Mensch met with students from Western Montgomery Career and Technology Center during his visit at Bracalente Manufacturing Group. 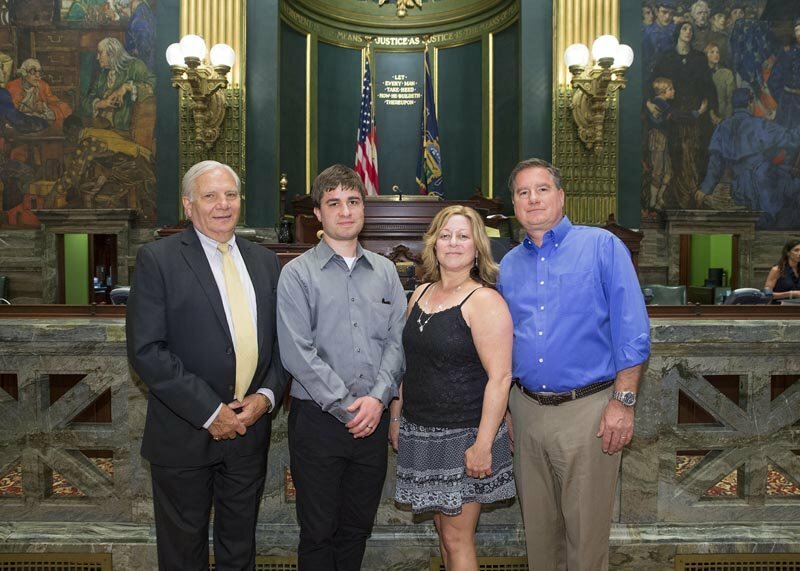 October 7, 2016 – Senator Mensch toured Longacre's Modern Dairy in Barto, PA on Manufacturing Day. 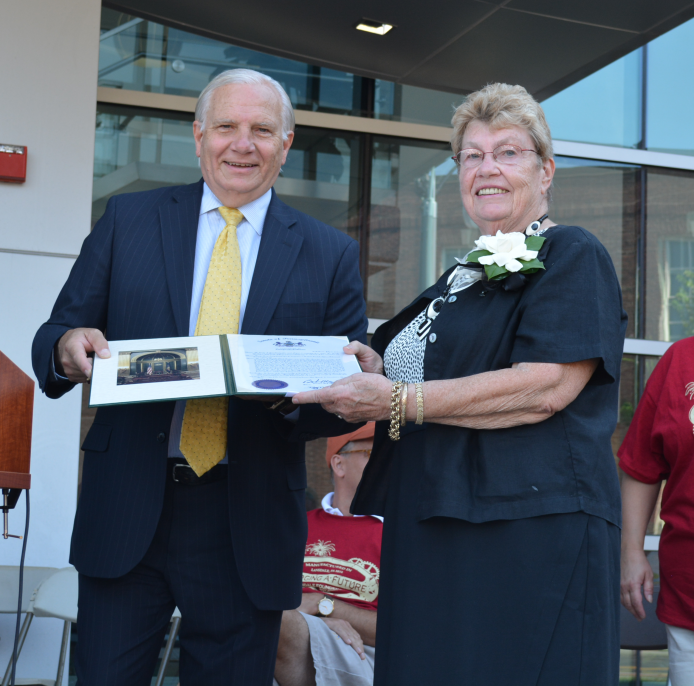 August 27, 2016 - Senator Mensch presented Margie Booz with the 2016 Lifetime Achievement Award at Lansdale Founder’s Day on August 27, 2016. 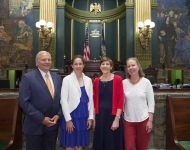 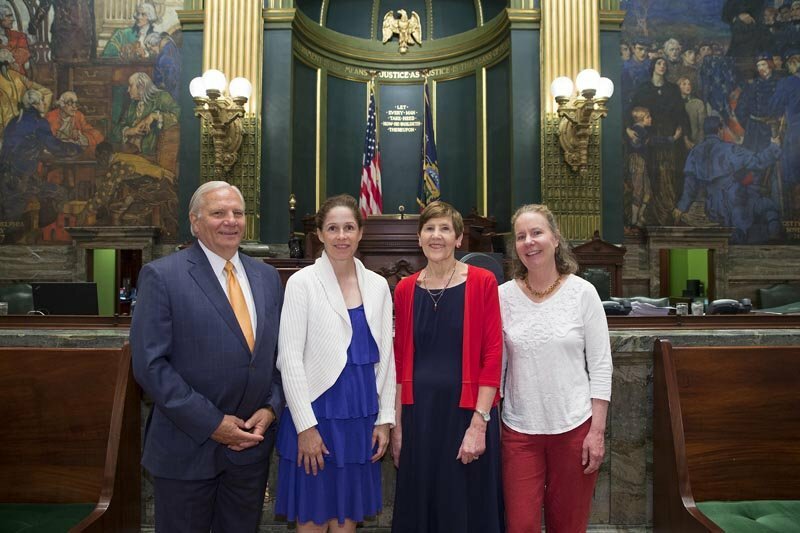 June 29, 2016 – Senator Mensch hosted Judy Smith, Wendy Ormsby, and Jennifer Arevalo in Harrisburg. 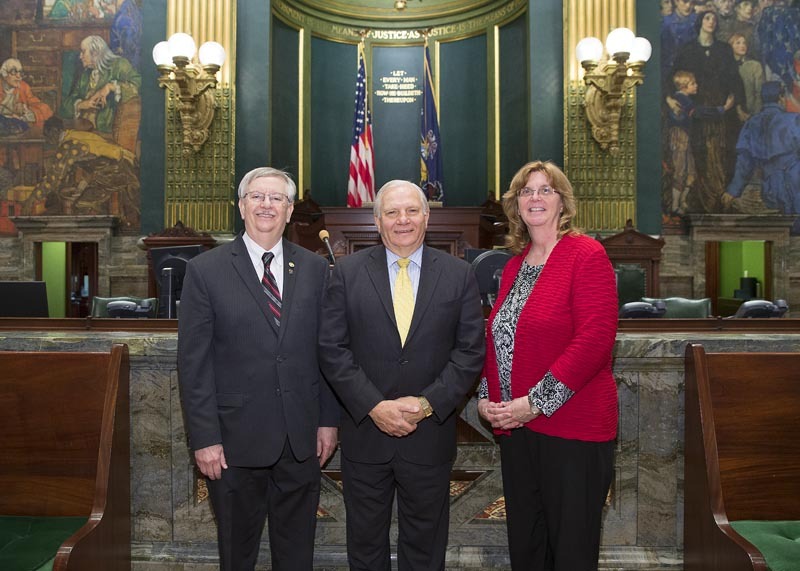 Watch their introduction to the Senate: here. 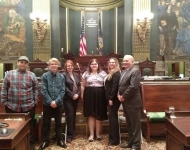 Senator Mensch joined the ?#?IWantToWork Campaign during their celebration of the enactment of HB 400, now Act 26 of 2016, which is also known as the Work Experience for High School Students with Disabilities Act. 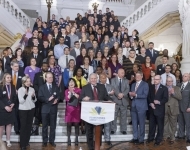 This legislation designates the Office of Vocational Rehabilitation (OVR) in the Department of Labor and Industry as the lead agency responsible for developing connections between local education agencies and employers to promote the successful transition from school to competitive, gainful employment. 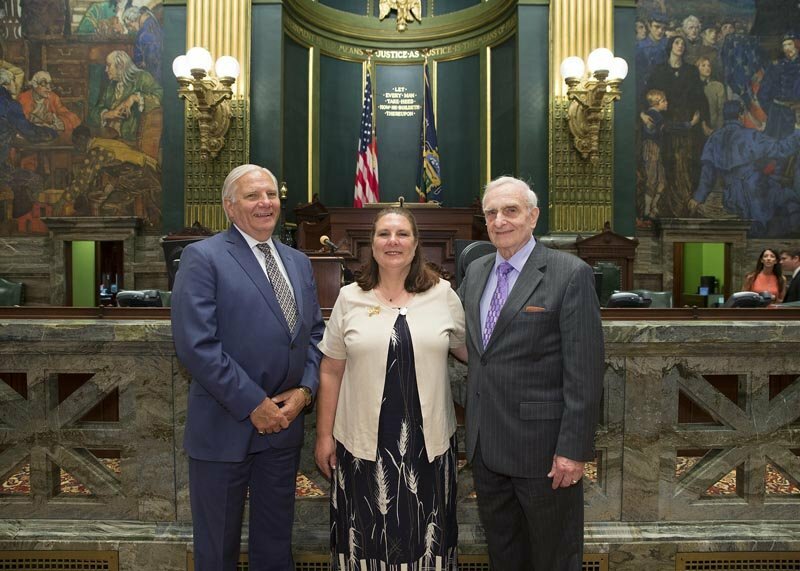 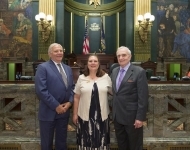 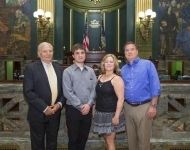 June 13, 2016 - I was happy to welcome Mary Wilkens Long and her father Joseph Wilkens to Harrisburg. 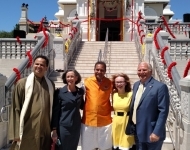 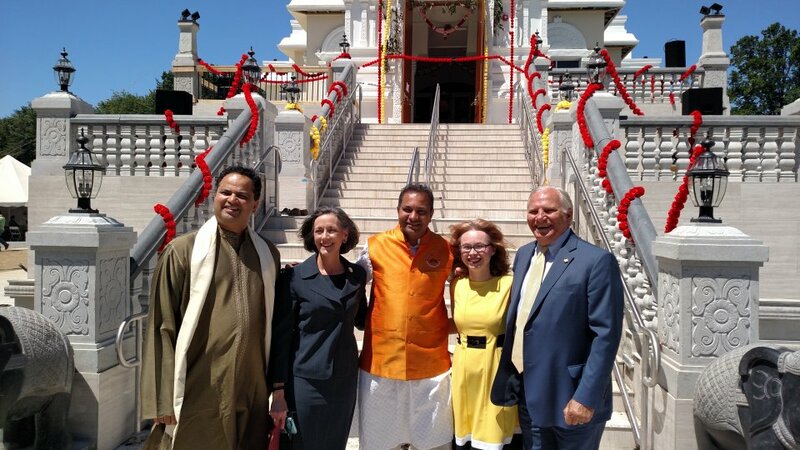 June 12, 2016 - Senator Mensch attended the Bharatiya Temple’s Kumbhabhishek Mahotsav ceremony in Chalfont. 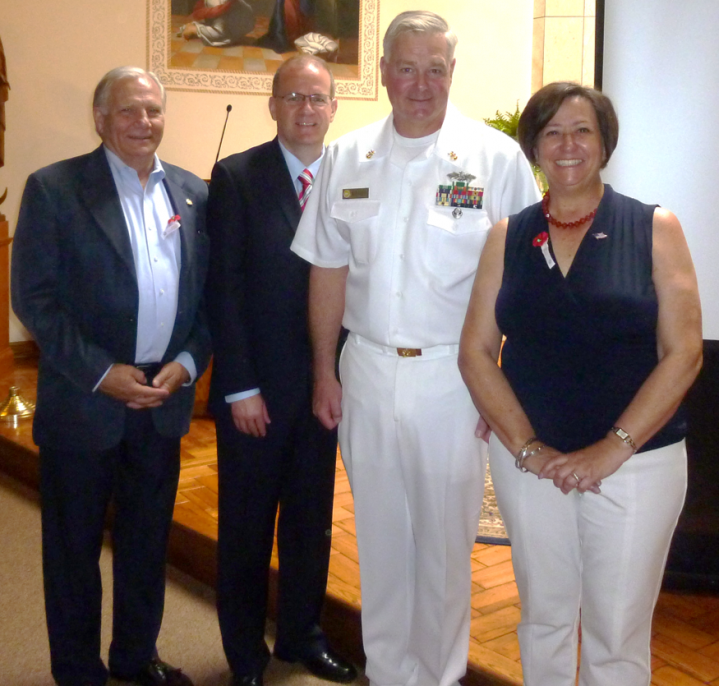 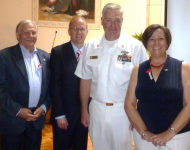 Senator Mensch was honored to attend St. Mary’s 10th Annual Memorial Day Celebration in Schwenksville with PA State Rep. Marcy Toepel and PA State Rep. Tom Quigley. 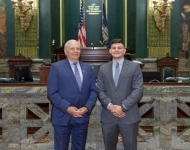 During the ceremony, the legislators joined students in honoring the thousands of men and women who have given their lives in the line of duty. 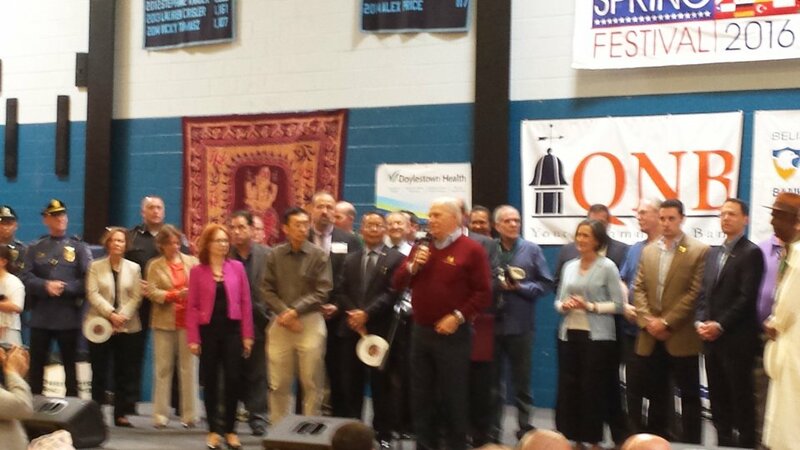 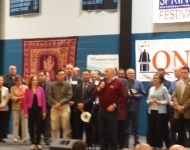 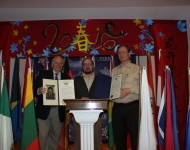 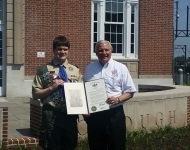 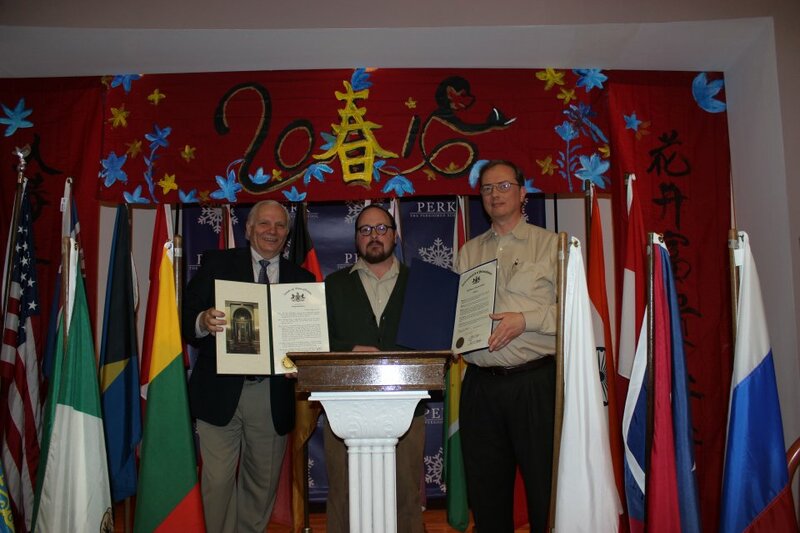 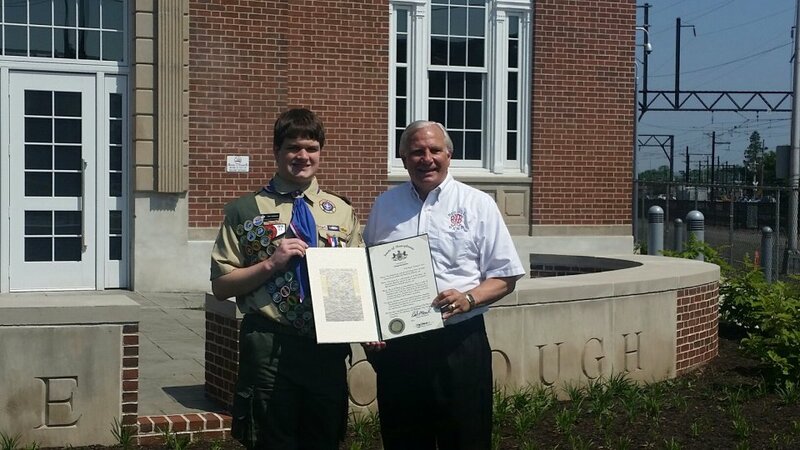 April 16, 2016 - Senator Mensch participated in the Lansdale International Spring Festival on April 16, 2016. 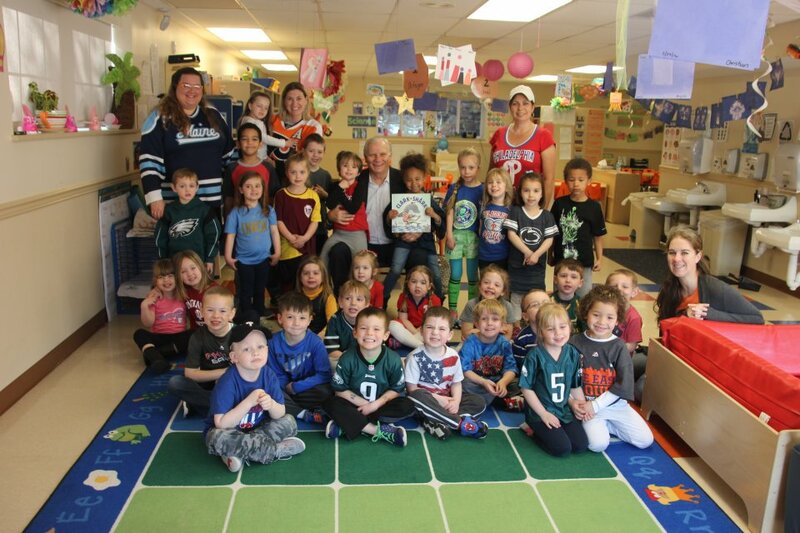 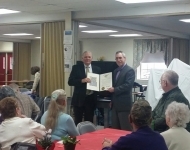 April 15, 2016 - Senator Mensch enjoyed participating in LifeSpan Child Care's Spread the Joy of Reading event at their East Greenville location on Friday, April 15, 2016. 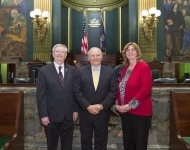 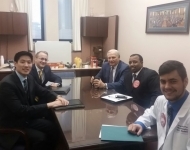 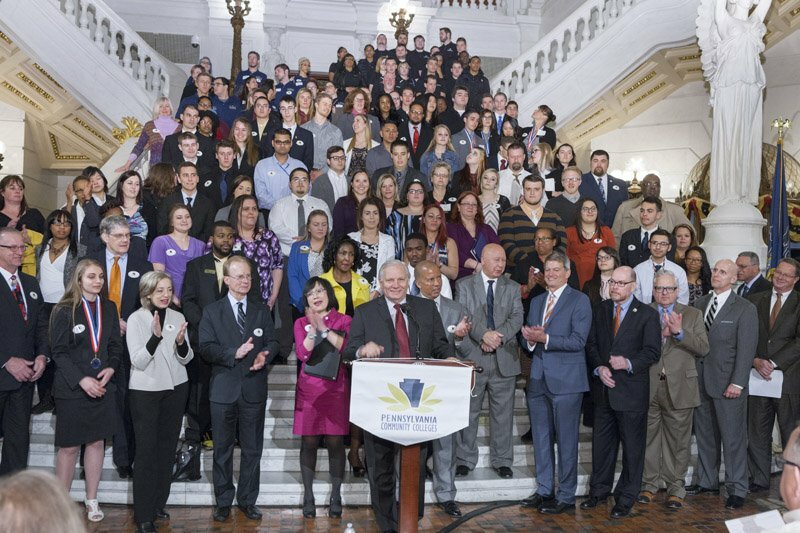 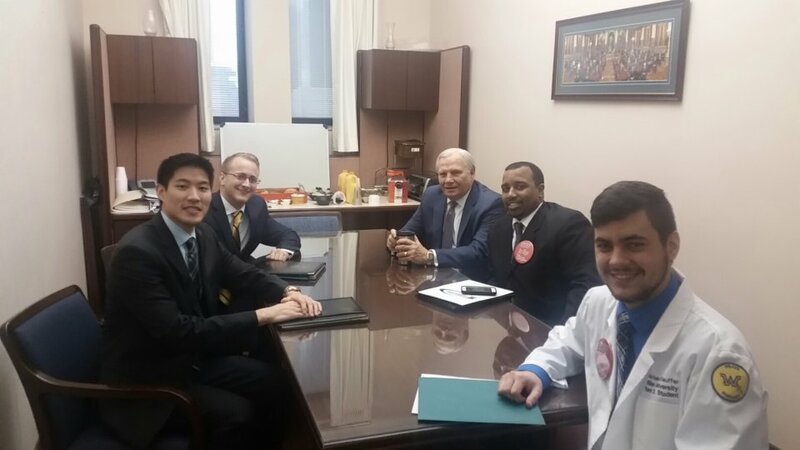 April 6, 2016 - Senator Mensch enjoyed meeting with student pharmacists during the Pennsylvania Pharmacists Association Legislative day in Harrisburg on April 6, 2016. 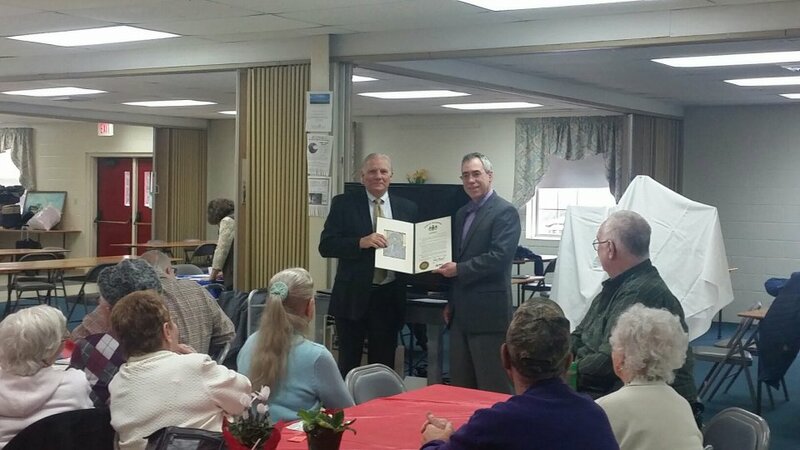 February 11, 2016 - Senator Mensch was honored to present a citation during Pottstown Senior Center’s 40th anniversary celebration. 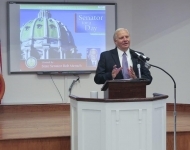 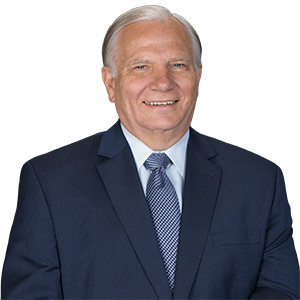 January 27, 2016 - Senator Bob Mensch hosted the Guest Chaplain of the Senate, Dr. Brad Mellon, and his wife on January 27, 2016.